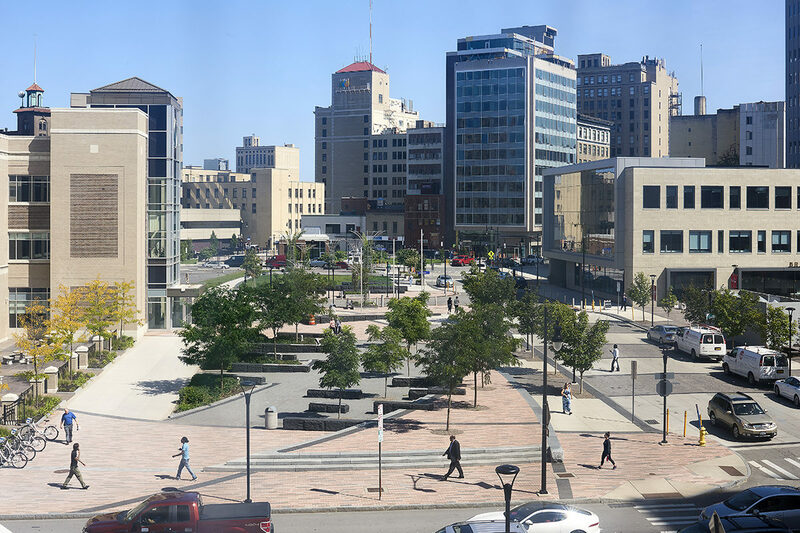 TWMLA’s work for Rochester’s Midtown Rising redevelopment initiative has been awarded the 2018 American Institute of Architects New York State Excelsior Award of Merit in Landscape Architecture. The Excelsior Awards were created by AIANYS to provide a model of excellence for future state-funded design. The judging criteria required that projects must demonstrate responsible use of funds to achieve the maximum public benefit, provide socio-economic benefits, and highlight beautiful and harmonious design. TWMLA was integral to the project team from the outset, and provided strong leadership on programming and public outreach. Other responsibilities included developing detailed streetscape and site design, as well as providing construction administration to see the project through to completion.